-Located directly across from Orlando International Airport -Complimentary airport shuttle service. 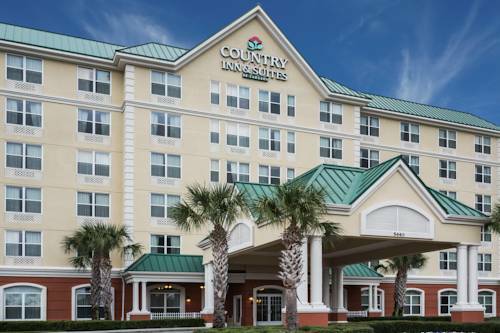 -Easily accessible to all of Central Florida's attractions -Complimentary Continental Plus Breakfast -Features 1 bedroom suites, whirlpool suites, guest rooms and meeting space -Free wireless internet available in all guest rooms and public areas -24 hour fitness center, outdoor pool, hot tub. Meeting space available accommodating upto 50 people. Unique watersports park designed for wakeboarding, wakeskating and waterskiing. The Holyland Experience is a must see attraction during your stop in Orlando.